Everquest: Project 1999 and its servers will be safe from shut down following the new rights holder, Daybreak Game Company, giving the initiative its blessing. Everquest: Project 1999 is a selfless fan initiative which aims to preserve Everquest in its original 1999 incarnation. Fans run the servers, emulate the game, stream the updates, and don't see a dime for their troubles. It's a wonderful idea that helps keep one of gaming's most influential titles alive and running for future generations to enjoy. Recently, fans and players alike suffered a little anxiety following the sale of Sony Online Entertainment and its rebranding to Daybreak Game Company. Sony had been mum on the issue, letting fans do as they please while turning the other cheek, but nobody knew how Daybreak would react to the hush hush treatment the initiative was seeing. 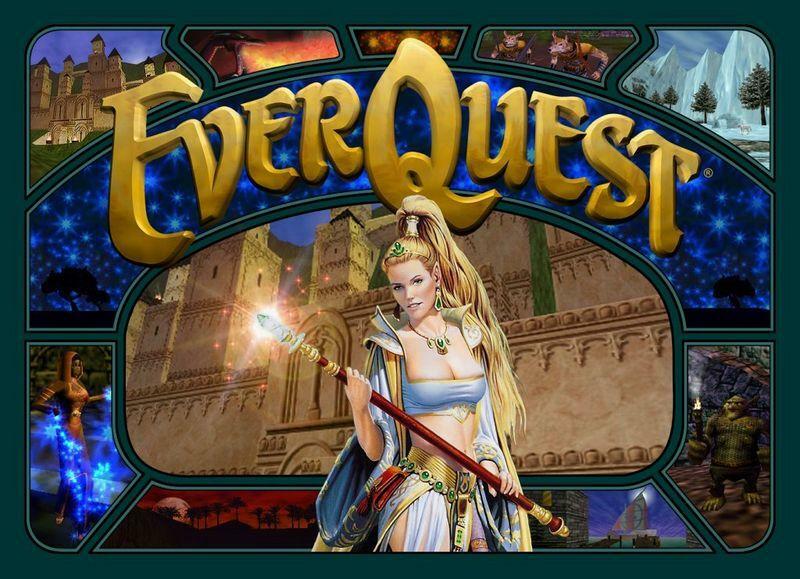 However, Daybreak and Everquest: Project 1999 have announced a joint agreement that will keep it up and safe from legal repercussions. Everquest: Project 1999 co-manager Sean Norton made the announcement. We have recently entered into a written agreement with Daybreak Game Company LLC that formally recognizes Project 1999 as a fan based, not-for-profit, classic EverQuest emulation project. The agreement establishes the guidelines that we as a project must follow, but it will allow to us continue to update the game without risk of legal repercussions. We would like to personally thank all the folks at Daybreak and acknowledge how awesome it is for a company to work with and embrace the creations of their fans. This is really something that's unique in the gaming industry. Everquest: Project 1999 however did reschedule its planned expansion to clear the runway for Daybreak's own plans with the Everquest license, "as a show of good faith." Hey, better than shutting the whole thing down, I suppose. Isn't it great that we can all just get along? Despite the potential of seeing this fan project cannibalize its own Everquest ideas, Daybreak is letting it move forward because it recognizes the special place that the original Everquest sits in gaming history and the importance of preserving that. This news comes at a time when the Electronic Frontier Foundation and Entertainment Software Association are locked in a legal battle over providing protections for those who try to keep private servers up for abandoned games. The EFF sees this practice as preserving gaming history for everybody to explore, but the ESA challenges this as hacking and an attempt to legitimize piracy. The ESA also looks out for the corporate interests of the gaming medium. Naturally, I agree that online games must be preserved and made available for all once a publisher abandons them, especially if the game was paid for by customers who are still enjoying it. This little written agreement between Daybreak and Everquest: Project 1999 is a nice showing that both corporate interests and the history of gaming as an entertainment medium can co-exist. I only hope that SEGA will grant the same leniency to Phantasy Star Online: Blue Burst.